Crawl errors are one of the biggest problem that the search engines face w.r.t. your site. It is an indication that the search engine robots are unable to crawl properly certain areas of your site. You must take steps to solve the crawl errors so that you get the maximum benefit from the search engines. These errors might be seen by the users as well and it may harm your reputation. One of the biggest issues that crawl errors may create is the proper flow of PageRank. Hence, it is suggested to solve the crawl errors as soon as possible and make your site accessible to both the user and the search engines. Google shows you a list of both web and mobile content on Webmaster Tools and also gives you options to notify Google when you have solved the problem. Soft 404 Error - These happens when the server does not return a proper 404 error. 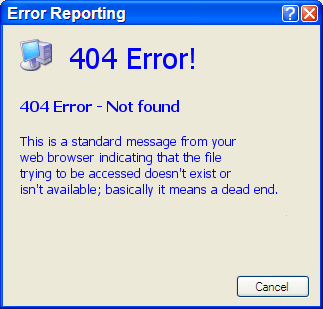 Not Found Error- The most common 404 errors fall into this category. HTTP Error- 403 pages or 400 pages. Timed Out- Generally returned because the server remains busy.